Q; I have (3) Slater's V-skips #32W01 that I would like to run on 0n30 track. i would like to slide the wheels in on the original axles about .100" (.733" vs .637" by my measurements so I assume there's a bit of a margin for error . . .) with each wheel going half that distant so the finished car rides centered on the track. any help squeezing these in to a consistent distance greatly appreciated! I have a NWSL puller, dial caliper, 3 point & roller gauge for 0n30, and would certainly be willing buy any tool which could get the job done. Slaters do the wheelsets in 16.5mm gauge, catalogue number 32512HUD, see https://slatersplastikard.com/wheels/32mmNGWheels.php if you cannot manage to push them in on the axles. 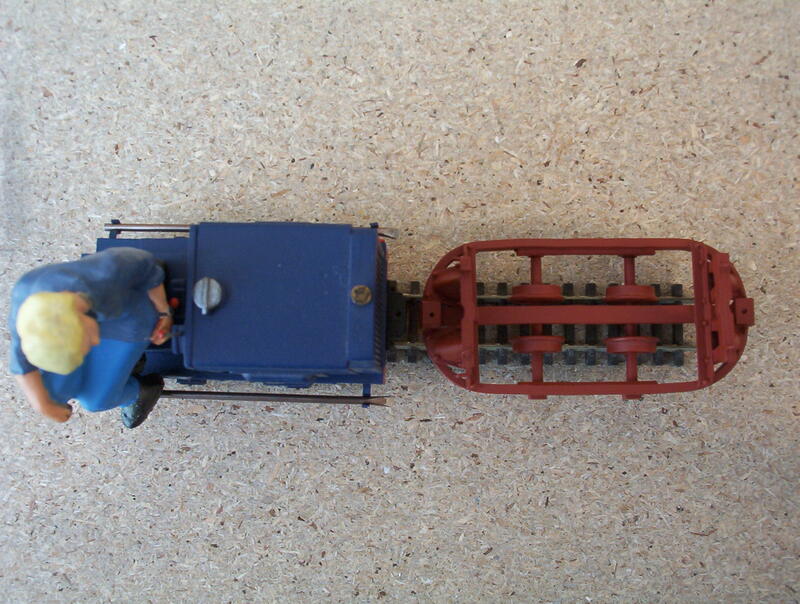 I am not sure if the 1/32 wheelsets have shouldered axles (their O gauge wheels do), so replacing them may be the only option if that is the case. Two ways of narrowing the gauge come to mind if they are plain axles. If you have a pillar drill with a depth stop you can use this to push the wheel along the axle, one end of the wheel set at a time. Grip the axle loosely in the chuck with the uppermost wheel face up against the jaws and rest the lower end of the axle on top of the machine vice. The axle has to be able to move in the chuck with finger pressure, but not be a sloppy fit otherwise the wheel may be pushed off square and end up wobbling. Carefully press down on the upper wheel with the chuck (small steps are best) and keep checking the distance from the axle end to the face of the wheel. When this is OK set the depth stop using the first altered wheel in the chuck as a guide so that the amount of movement can be replicated for all of the other wheels. How to push them so the wheels stay at right angles to the axles: I use a drill press (pillar drill), or you can buy dedicated wheel pushers that are two parallel pieces of metal with threaded rod to tighten and holes to hold the axle ends and keep the axles and wheels square. You can use a vice, but need to take care that everything is square and this might be hard. How to stop the wheel moving at the right place. When you push a wheel it tends to move in jerks. I usually push the axle through the first wheel from the inside and have some sort of stop so the axle end protrudes about the right distance. 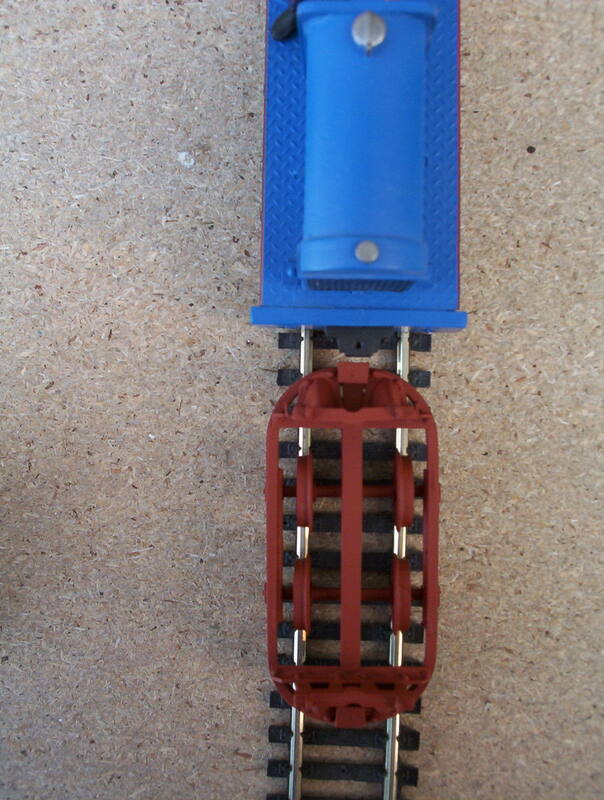 You can pack this stop with plastic or metal shims to set the distance. Then I push the other wheel on with a back to back gauge in place to set the right back to back distance. I made a back to back gauge from a piece of 12 x 12 x 3 aluminium angle, cutting it about a mm too long and slowly filing it down to length (check with calipers). I found it hard to get the right length and will be asking a friend with a machine shop to make another. If you have pinpoint axles you need to push the axle with a gizmo that has about a 1 mm hole, so you don’t damage the pinpoint. I soldered up some brass tube. I replaced the Slaters supplied wheelsets by removing the Slaters wheels from the axles and replacing them with Hornby ones (the photo shows the one not quite right!). 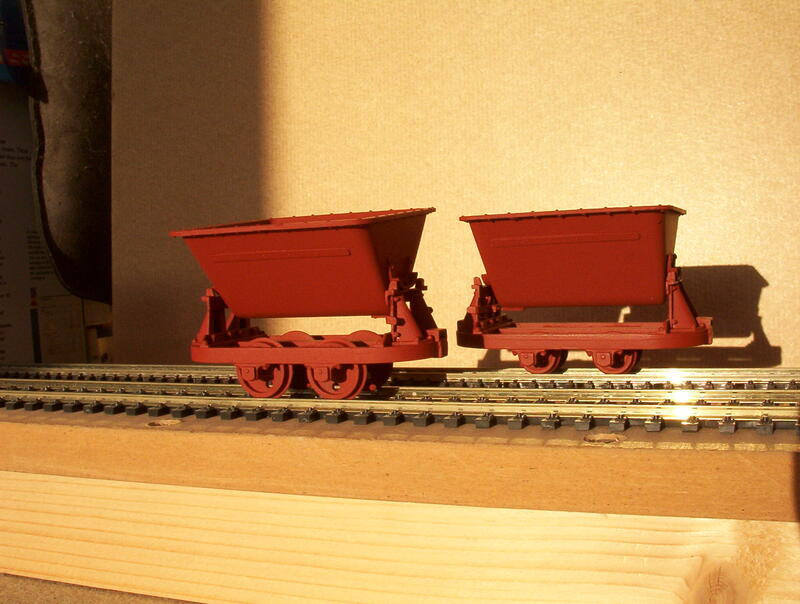 The Hornby wheels are a larger diameter and look better (in my opinion), and are a tight fit on the Slaters axles. I did regauge a couple of skips to 9mm gauge by pushing the wheels in manually using a back-to-back gauge and a steel rule to check centre.